I am back again today with a card that I made for a good friend of mine. She is someone that I met in this wonderful world of the internet and we first got to talking with each other over at Stamp TV. should meet in person. That worked out fabulously well and we have been friends ever since! Why am I telling you my life story ? 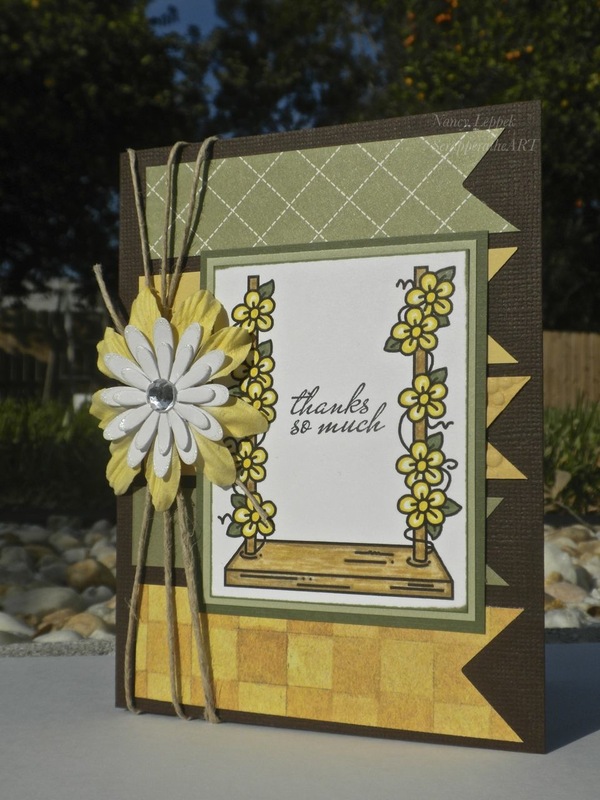 and the card I have for you today is the one I made for her as a Thank You! And yes, I colored it with my NEW pens!! but I can honestly say I hope we stay friends forever! 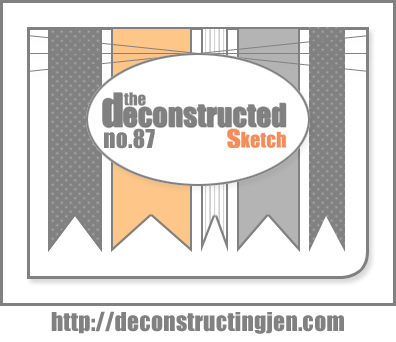 I am also linking this card up on the Sketch challenge over at Deconstructed Sketch #87! They always have the best sketches! And this new site ( to me anyways) I have really come to like and it’s called Addicted to Stamps and More! They asked us to ” Make our Mark”. Categories: Cards, challenges | Tags: Card making, Cards, cuttlebug, rubber stamps, sketch challenge, spectrum noir pans, Thank you card | Permalink. I love your card you made. I also love the Spectrum Noir pens too. What a beautiful card! I must say I like everything in it -the image, the colors, the addition of the big flower… Just lovely! I’m sure your friend loved it. Thanks for joining us this week at ATSM Challenge! This is so pretty! I love your layout and the colors are just beautiful! I especially love the way you have attached your flower. Thanks for playing at ATSM!